Mr. Rajesh Kumar Raina assumed charge as first Assistant High Commissioner of India to Khulna on 22nd May, 2018. 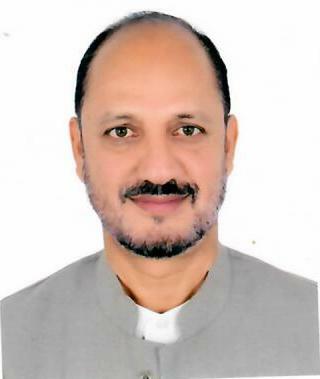 Mr. Raina served in various capacities in Ministry of External Affairs, New Delhi and in Indian Missions abroad including Hanoi, Toronto, Nicosia, Dubai, Kuwait, Paris and Basrah(Iraq). He handled the largest evacuation of Indians from Basrah in 1991. He worked as visiting lecturer in Foreign Service Institute (FSI), New Delhi and also handled four Haj seasons in Haj cell of MEA. Mr. Rajesh Kumar Raina is a science graduate from Delhi University, holds a Master degree in Sociology and a Post Graduate Diploma in Computer Applications. He is trained and experienced in performing arts, fine arts and poetry and has a keen interest in sports, notably badminton and cricket. Mr. R. K. Raina was born on 2nd March 1962. He speaks Hindi, English, Dogri, French and Arabic. He is married to Nandita Raina and they have two children, a son and a daughter.